What if Jaymo worked in this 2 Kenyan Institutions ? I have 30 Minutes before I write code for today…gotta pay those bills….so let me rant for a few minutes. I mentally placed myself on a job, somewhere, trying to imagine what I would add to this formal organizations, in terms of technical contribution in a technical capacity. Wait…bear with me here before you look at me like am crazy..Everyone visits a supermarket at one point…doesn’t matter if its a run down Nakumatt along Ronald Ngala or an Upmarket one at Westgate,we all do…based on research I can correctly approximate that only 15% of customers have smart cards…the rest simply have no observable use for the cards,the only thing supermarkets do is a loyalty scheme awarding points to customers based on the amount they spend. In walks Jaymo: Add predictive modeling.Predictive modelling is the process by which a model is created or chosen to try to best predict the probability of an outcome.In many cases the model is chosen on the basis of detection theory to try to guess the probability of an outcome given a set amount of input data. Sasa Jaymo si you explain basi….off course…people buy stuff based on need (price being ignored,this is always countered by variety,size range etc) as such need recognition is the best bet for sales increase…enter consumer profiling and predictive modelling. Lets take an example: Say Njeri all of a sudden deviates from her current buying trend and starts buying coco butter lotion,Vaseline and supplements with an observable 40%+ change from her previous purchases then its safe to assume she is either pregnant or planning to get pregnant..upon which if an algorithm exists we can target Njeri with coupons on baby stuff over her pregnancy and after delivery. 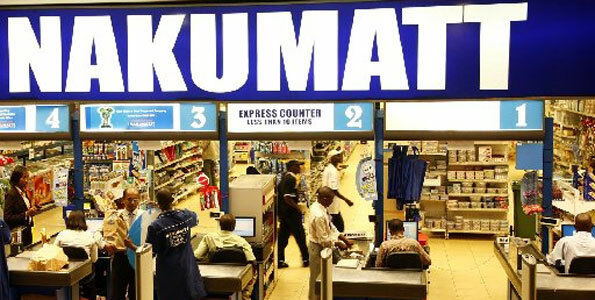 Say Kamau changes from buying Alcohol and Durex condoms on Friday over a varied geographical span (nax,nairobi,coast) and starts buying wine ,scented candles and lean meat on Fridays at Nakummat Junction then we can safely assume he has found a mamaa and is settling down…we can target him with adds relevant to his current stature. You get the picture I hope…make that loyalty card work for them….write a perfect predictive algorithm based on data mining. I know working for saf is overrated over blogged and over tweeted…sawa…I will not even try to go there. So Safaricom introduced Vuma online…sawa sawa good work. The pilot saw 200 Nairobi matatus and buses plying the Nairobi- Mombasa route have WiFi installed in them at a cost of KSh. 7 million….clap for yourself…first month was free I guess toka hapo the only thing that remained was the fansy logo on this matatus …Matatus were to pay KSh. 2,000 per month and have the service accessible to users for free.Most opted not to…Typical Kenyan style the project went south on most routes.